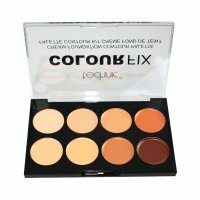 Technic Contour Kit Of 8 Shades. Highly Pigmented, Blendable & Matte Formulation. For Long Lasting & Professional Coverage. Perfect For Concealing & Highlighting.